This isn’t the Super Bowl Kick-off (03-Feb-2019) – it’s the BGHA Annual General Meeting Kick-off. Our Kick-off begins with the posting of the Board Nominations form in preparation for the Annual General Meeting in May 2019. This season the volunteer terms for President, 1st Vice President, 2nd Vice President, Secretary, Director, HL Director and Representative League Director become vacant. We also have the Treasurer and Tournament Convener volunteer positions not filled from last season. 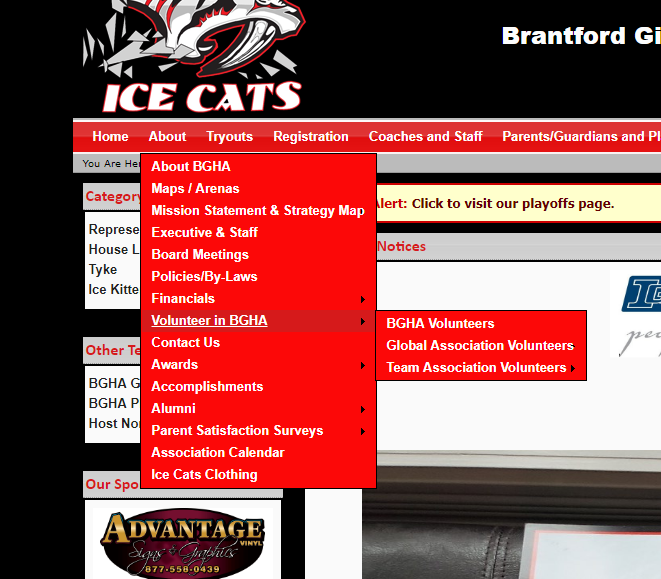 Information about BGHA Volunteer Board Members can be found in the drop-down list under ‘About’ in the Main Home Page Menu Bar.